Uber plans to buy up to 24,000 self-driving cars from Volvo as the ride-booking app and ride-hailing app looks towards automation. The deal is set to start in 2019, and it's unclear when the cars will actually be on US roads. The cars would be available through the Uber app to pick up passengers without a driver, giving the business its first commercial fleet of cars. The non-binding framework deal builds on a relationship of nearly three years between San Francisco-based Uber and the car-maker. Uber's Advanced Technologies Group is developing the self-driving system to be used in the Volvo cars. Volvo confirmed it would provide up to 24,000 of its XC90 SUVs equipped with driverless technology as part of a non-exclusive deal from 2019 to 2021. Volvo chief executive Hakan Samuelsson said: "We get support developing this car. It's also a big commercial deal. The automotive industry is being disrupted by technology, and Volvo Cars chooses to be an active part of that disruption. Our aim is to be the supplier of choice for AD (autonomous driving) ride-sharing service providers globally." He added that the deal with Uber was a "primary example of that strategic direction". There were no financial details disclosed regarding the investment but the XC90 SUV typically has a starting price of $50,000 (£37,755) each. Jeff Miller, Uber's head of automotive alliances, said: "Our goal was from day one to make investments into a vehicle that could be manufactured at scale. It only becomes a commercial business when you can remove that vehicle operator from the equation." 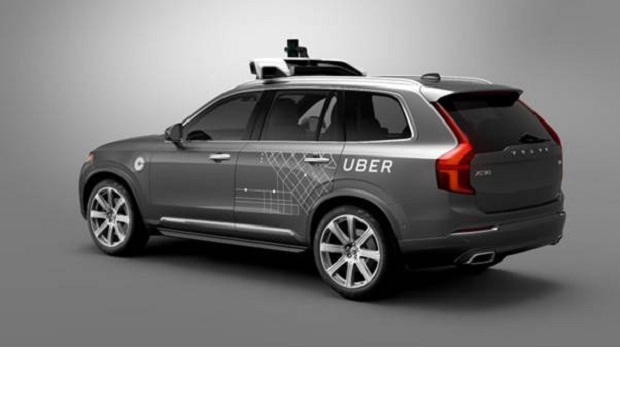 Last year, Volvo announced a $300m (£226m) deal with Uber to design and finance cars with self-driving systems. Earlier this year, Uber's rival Lyft revealed partnerships with Alphabet's Waymo, Ford and startups Nutonomy and Drive.ai to bring self-driving cars into its fleet.